It's a way to take responsibility for your mistake and show her that it won't happen again. 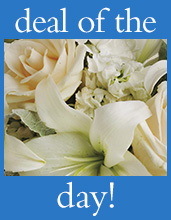 We offer so many beautiful I'm sorry flower arrangements that your forgetfulness will soon be forgotten. And forgiven. Sometimes words are not enough. Are you suffering the silent treatment and your peace offerings have gone ignored? Then this dire situation calls for something more. Give a sincere apology that comes without pretensions. Why not let them know how heartfelt your apology is by sending flowers, too? When you need to make amends or ask for forgiveness, an apology and flowers are a lovely peace offering. Our local florists will hand deliver your I'm sorry flower bouquet to their home or workplace. It's the perfect gift to break the ice. If forgiven, make sure you follow through with your promise not to mess things up again.